When it comes to our skincare routine, we of course look to a number of Hollywood stars for tips and products. Naturally, Cindy Crawford, who is known for her ageless and beautiful skin, is at the top of our inspiration list. 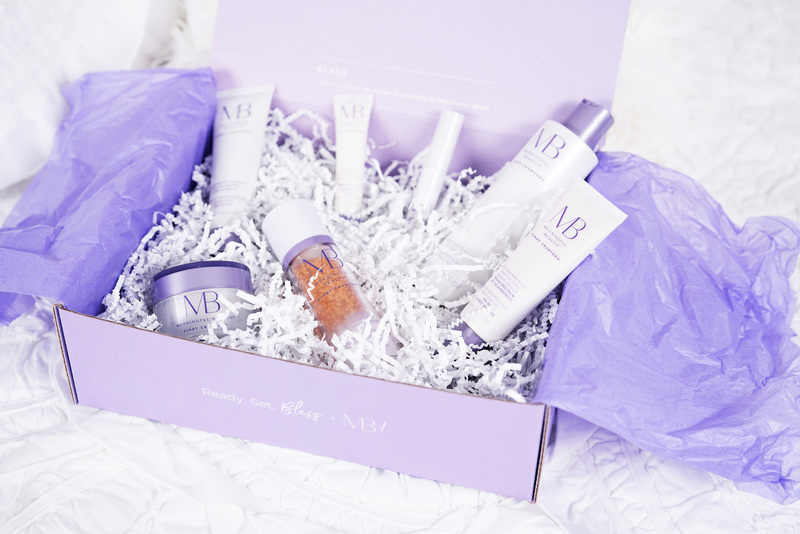 Lucky for Us, the supermodel has a skincare line, Meaningful Beauty, and recently collaborated with Bless Box Founder Sazan Hendrix for a limited edition box full of her must-have products. See it: Snag over $300 worth of Meaningful Beauty for only $29.99 by signing up for Bless Box today! It’s a system — Crawford noted that she “loves” systems, because they ensure that you’re never left with too much, or too little of any one particular product. “The products are designed to work together,” she explained. The key ingredient is Superoxide dismutase (“SOD”). The super antioxidant is a “miracle molecule” that is extracted from rare melons grown in the South of France. It’s also the very ingredient Crawford has used to keep her skin looking flawless for over 20 years. The melons have been such a hit, that the Fair Game actress revealed that she now gets approached at airports with questions about where to get the rare fruit. Thankfully for Us and our wallets, we don’t have to try and source each product (or go to the South of France to find the miracle melons) on our own. Hendrix launched Bless Box with just that in mind. Each box is meant to be a curated selection of products that are hand-picked by Hendrix, and naturally, after trying the products herself, she knew she had to include Crawford’s line in the October box. The box, valued over $300, features an assortment of goodies from Meaningful Beauty that Hendrix loves. Included in this month’s box is a skin softening cleanser. It’s free of any harsh soap and is designed to maintain our skin’s pH balance and keep Us clean without drying Us out. It’s also packed with galactic acid, a super powerful antioxidant that we can find in apples. The best part? It’s super gentle and will make sure we’re always glowing and never tight. Next, is a gift for anyone looking to correct any fine lines under their eyes — the Lifting Eye Crème! It’s lightweight and helps diminish the appearance of any unwanted wrinkles and folds on that delicate skin under our eyes. It lifts and brightens, ensuring we always look like we’ve gotten a solid 10 hours of sleep (even when we’re struggling to stay awake). Looking for a good scrub? The Intensive Triple Exfoliating Treatment is also included in the October box. The product is a peel, exfoliant and a detoxifying treatment, all-in-one. It helps eradicate dry, dead skin and helps ensure other ingredients in our routine penetrate our skin better. Now, perhaps our favorite item in the box is the Youth Activating Melon Serum. It incorporates the anti-aging prowess of melon leaf stem cells to help promote firmness in our skin, plus it protect Us from environmental damage. Want to help eradicate dark spots? The serum has Us covered on that front too. The sea daffodil extract helps create an even tone. No routine is complete without a solid SPF and the Environmental Protecting Moisturizer brings just that! It’s a multitasking wonder and not only helps protect from sun damage, but also helps reduce the damage of blue light emitted by phones, TV screens and laptops. Looking for a do-it-all hydrating powerhouse? The Overnight Retinol Repairing Crème is just the ticket. It helps to reduce the appearance of any fine lines and wrinkles (especially around the eyes, the forehead and by the mouth), and it works as we sleep to help hydrate and give our face a smooth, beautiful texture. A great glossy lip is the ultimate finishing touch and this lip gloss visibly plumps and helps shape our lips to look and feel plush and soft. It also hydrates and moisturizes the sensitive skin on our pout! This month’s Bless Box includes all the aforementioned goodies, plus a special note from Hendrix herself. It’s the sweetest deal — $360 worth of hand-selected skincare products from Crawford’s personal line, in addition to tips and tricks on how to use each product. If you’ve ever wanted a skincare routine curated by a supermodel, this is your chance! See it: Scoop up the Bless Box exclusive collaboration with Cindy Crawford’s Meaningful Beauty line for only $29.99! There’s extremely limited availability, so order now before they’re gone! Want to save even more? Sign up for a three-month subscription for a monthly $28.99, a six-month subscription for $28.33 per month or snag an annual subscription for a jaw-dropping $26.66 per month! Click here for instant savings!